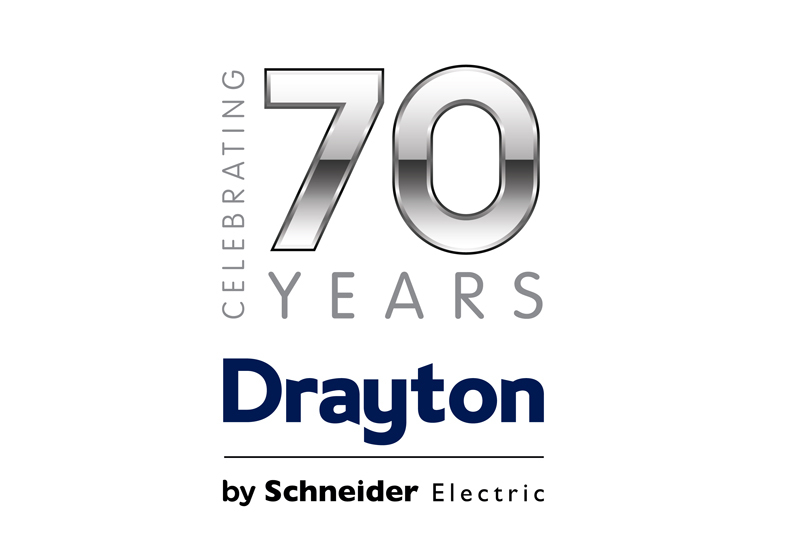 Drayton is celebrating 70 years of manufacturing intelligent heating controls. Founded in 1949, Drayton has developed some of the most recognisable products in the heating industry, including the TRV4; Digistat room thermostats; Lifestyle programmers and timeswitches; and most recently, Wiser – which has seen the company move into the smart heating controls market. Over 78 million products have been designed and built by Drayton in the last 15 years alone, from its 348,000 sq ft production plant in Plymouth. Over 250,000 Drayton controls are fitted each month, from nearly 30 product ranges. A continual cycle of product improvement will see new features added to key lines in the next 12 months, as well as further expansion of Wiser. Launched in 2017, the smart multi-room control system combines Drayton’s heating expertise with the latest connected home technology. Recent Wiser updates have included the introduction of a user-oriented Comfort Mode, data-driven Heat Report and the launch of a complementary Smart Plug, with significant investment already underway in 2019 into installer training and the expansion of Drayton’s Wiser Approved network of engineers. Remi Volpe, Vice President & General Manager, Residential Temperature Controls (RTC) at Schneider Electric, said: “Key to Drayton’s position as one of the leading brands in the UK domestic heating market is our ongoing commitment to extensive research and development, and product innovation. By having a constant dialogue with our customers and installer network, we understand their requirements and we ensure this fuels our future product development, both in terms of bringing new products to market and the evolution of existing ranges. “This approach led to the launch of Wiser in 2017, providing a smart solution that not only meets the needs of today’s inquisitive homeowners who are looking for more control over their heating system and its performance, but one that’s also easy for installers to sell, fit and commission.